As you are aware that earlier, the activity of issuance of Form No. 16A was distinct and independent of filing of e- TDS statement on quarterly basis and therefore the chances of mismatch, in certain cases, between TDS Certificate in Form No.16A and Form No, 26AS were not possible to rule out completely. To overcome the challenge of mismatch, the CBDT issued Circular No.3 dated May 13th 2011 , CBDT CIRCULAR NO-01/2012 dated 9th April, 2012 and laying down therein that a common link has now been created between the TDS certificate in Form No.16A and Form No. 26AS through a facility in the Tax Information Network website (TIN Website) which will enable a deductor to download TDS Certificate in Form No. 16A from the TIN Website based on the figures reported in e-TDS statement filed by him/them. As both Form No.16A and Form No.26AS will be generated on the basis of figures reported by the deductor in the e-TDS statement filed, the likelihood of mismatch between Form No. 16A and Form No.26AS will be completely eliminated. 1. On or after April 1st 2011 the deductor being a Company including a banking company to which the Banking Regulation Act, 1949 applies and any bank or banking institution, referred to in section 51 of the Act or a cooperative society engagedin carrying the business of banking should issue TDS Certificate in Form No. 16A generated through TIN Central system and which is downloaded from the TIN Website with a unique TDS certificate number in respect of all sums deducted on or after the 1st day of April, 2011 under any of the provisions of Chapter-XVII-B other than section 192. 2. However, the deductor, being a person other than a Company including a banking company to which the Banking Regulation Act, 1949 applies and any bank or banking institution, referred to in section 51 of the Act or a cooperative society engaged in carrying the business of banking ,at his option, issue TDS Certificate in Form No.16A generated through TIN central system and which is downloaded from the TIN Website with a unique TDS certificate number in respect of all sums deducted on or after the 1st day of April, 2011 under any provisions of Chapter-XVII-B other than section 192. 3. For deduction of tax at source made during FY 2010-11, the deductor, may at his option, issue the TDS certificate in Form No.16A generated through TIN central system which is downloaded from the TIN Website with a unique TDS certificate number in respect of all sums deducted during the FY 2010-11 under any of the provisions of Chapter- XVII-B other than section 192. 5. The deductor being a person other than a Company including a Banking Company who do not issue the TDS Certificate in Form No.16A by downloading from the TIN Website shall continue to authenticate TDS certificate in Form No.16A by manual signature only. (A) FOR DEDUCTION OF TAX AT SOURCE MADE ON OR AFTER 01.04.2012: All deductors (including government deductors who deposit TDS in the Central Government Account through book entry) shall issue TDS certificate in Form No. 16A generated through TIN central system and which is downloaded from the TIN website with a unique TDS certificate number in respect of all sums deducted on or after the 1st day of April, 2012 under any of the provisions of Chapter-XVII-B other than section 192. In other words, the issuance of duty verified TDS certificate in Form No. 16A, by the deductor of any category shall henceforth by only through TIN Central System. The deductor shall therefore, download such certificate from the TIN Central System, verify the correctness of the contents mentioned therein and authenticate the correctness of the contents before issue of the said certificate. (B) For deduction of tax at source made between 01.04.2011 to 31.03.2012 The stipulation prescribed in para 4.1 of the Circular NO. 3/2011 dated 13.05.2011 shall continue to apply. (C) The deductor, issuing the TDS certificate in From No. 16A by downloading from the TIN website shall authenticate such TDS certificate by either using digital signature or manual signature. However Where the deduction has been done between 1st April, 2011 and 31st March, 2012 and the deductor being other than a company/ bank or banking Institution/ a cooperative society engaged in carrying the business of banking and who do not issue the TDS Certificate in Form No. 16A by downloading from the TIN webstie shall authenticate such TDS certificate in Form No. 16A by manual signature only. (D) The Director General of Income-tax (Systems) shall specify the procedure, formulas and standards for the purpose of issuance of TDS certificate in Form No. 16A which is downloaded from the TIN website and shall be responsible for the day-to-day administration. In relation to the procedure, formats and standards for issuance of TDS certificate in Form No. 16A in electronic form. (E) It is further clarified that TDS certificate issued in From No. 16A by the deductors as mentioned above and in accordance with this circular alongwith procedure, format and standards specified by the Director General of Income-tax (Systems) shall only be treated as a valid TDS certificate in From No. 16A for the purpose of section 203 of the Act read with Rule 31 of the Rules. 1. The deductor has to register their TAN with NSDL website. Click on the “Online TAN Registration” available in the home page of www.tin-nsdl.com and follow the due procedures mentioned therein. 2. Upon registration the deductor would be allotted a Reference Number. Note down this number. 6. Provide the details as asked for by the website for every quarter. You will receive by email a text file from NSDL. 7. Now the said text file needs to be converted into a PDF file / TDS certificate (Form 16A). Requisite conversion software provided in the website itself. 8. Once converted, the TDS certificates will be saved in the computer automatically at the defined path. 10. If found in order, affix seal and signature and issue the certificate to the deductees by either using digital signature or manual signature. Any further time available in weekends have to be focused on maintain social connections and formalities. it is extremely an easy task to gain a near perfect finish. This article could have been explained with screenshots. can pensioner issued with form 16 by the bank as tax deducted under 192 code ie salary. or any other certificate.because 26as & actually deduction mis match. I am defence pensioner my bank UBI has deducted TDS, so how to get TDS certificate. How I can get a TDS certificate for the current assessment year in Allahabad Bank Personal Banking ? TDS has been deducted from ICICI Lombard while paying the amount. how to get the TDS Certificate so that i can apply for the claims of same? one ITR filled as per form 26AS AS tds certificate is not received so unique no is not given in the return is it acceptable by the department. This question has been asked before but I can’t see a reply. How to obtain the Form 16-A (TDS certificate) number from the Form 26 AS ? 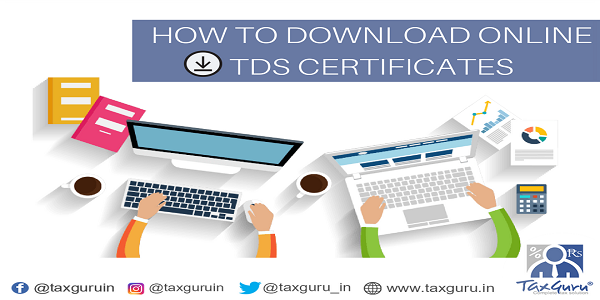 how to generate TDS certificate i.e. form 16A from NSDL site. HOW CAN I ( LICI MEDICAL OFFICER )DOWNLOAD LICI TDS RETURN CERTIFICATE ? HOW TO DOWNLOAD TDS CERTIFICATE IN FORM 16A FROM 26AS . HOW TO DOWN LOAD 16A FROM 26AS SENT BY THE DEDUCTER AFTER DEDUCTING TDS AND DEPOSIT THE TAX AMOUNT WITH THE INCOME TAX DEPARTMENT. I DON’T KNOW THE TDS CERTIFICATE NO. SO, HOW CAN I DOWNLOAD THE FORM 16. PLEASE REPLY, AWAITING YOUR ANSWER. directly to link these side for verification/information. how i can know our all tds detail. How can I get my 16A certificate from net against the tax deducted from my Bank A/C by SBI ? I need to know that how many and when my employer has been deposited the deducted amount. Can I get my individual TDS certificate directly by my PAN no. we are tax deductors. we have to issue tds certs to deductees. But we have to download it from nsdl website. I have registered in TIN our tan number. got regn nu also. I am asked TDS cert number. How i get this. and how can i download TDS certs. will explain me procedure. In the a.y 2007-2008 i didn’t file the tax return. That time approx Rs.10000 TDS was deducted. My question is if I filled a.y.2007-08 in this year and claim the tds money , will I get the tds return ? My deductee has given tds certificate without unique no and unable to give me for reason best known to him. while efiling my it, I am azked to mention unique no. form 26as says he has paid and filed tds fully. pl help me. It is one more systemic problem in TDS. The right thing should have been to enable the Deductee himself to generate Form 16A with UNIQUE TDS CERTIFICATE NUMBER once Form 26 AS is found to be OK. If he can not get it, this problem should automatically get referred to appropriate IT authority who should use his knowledge of the system and statuary power over Deductor to solve this problem. Deductee should not be harassed to solve this problem created by Deductors/ systemic deficiencies. TINgenerated Form16A which containsTDS Certificate has created one more problem in the long list of woes of Deductees. Three out of four Deductors have given Form 16A which do not show UNIQUE SIX CHARACTERS anywhere in that Form 16A issued to me.NO response from Deductors on my request to issue the right TIN generated Form 16A. But Column(4) under Schedule TDS 2 in ITR 4 demands UNIQUE TDS CERTIFICATE NUMBER. Today is already24th july. How can I finalise my ITR4 by 31st July?. if the deductee does not have a PAN Number than how can we generate the Form 16A? HUM YAH JANANA CHAHTE HAI KI HAMARE PAN AMSPK0992M PAR ABHI 2010-2011 ME KITNA TOTAL TDS KATA HAI,AUR 2011-2012 ME ABHI TAK KITNA KATA HAI WAH HUMKO QUARTARLY SEND KAR DIJIYE PLEASE. Please go to the bank where you have deposits on which tax has been deducted on the interest earned. They will give you the form 16A for the period you require. We have registered and got our companys Form16A zip file. Hence, We are unable to open the same, kindly guide me step by step procedure. The six character number is the TDS certificate number that will be issued by the deductor after downloading the same from TIN website. The intent of such facility is to enable/help the taxpayer in verifying the genuineness of the certificate and the contents thereof – ie ascertaining the genuineness of TDS certificate issued by the deductor. Its amazing…thanks for sharing this info…. its very clear guideline from your side for the accounts people and its realy very helpful to do so. Thanks !. Thanks for providing information.I am an individual professional and do use to see Form 26 AS after getting registered with TIN. May I know,whether in absence of Form 16 A issued by the “Deductor”,may I use and provide downloaded copy of Form 26AS in place of Form 16 A with my filing IT Return ? & if yes,will it be acceptable to IT Deptt.b’coz,it may not contain any signature of the “Deductor”. Pl.reply me through my e-mail id as above. PAN Ledger Account (Commonly known as 26AS Statement) now has a link to download TDS Certificates but it requires unique six digit number to download the same. How to get that six digit unique number ? its really a great move. now its easy. we are out from manual working.